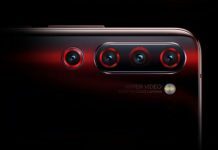 One of the reasons I love reviewing entry-level phones is because they tend to surprise in certain aspects when you have got so used to seeing flashy features on more expensive smartphones. 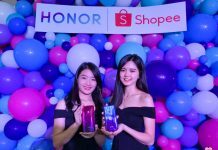 While most of our eyes have already set on Huawei’s Honor and Xiaomi for great value for money smartphones, Realme, a company that was founded and spinoff from OPPO, emerged and took the global stage by storm by announcing three smartphones that cost below RM1000, bringing the competition up a notch and more interesting for the general consumers. 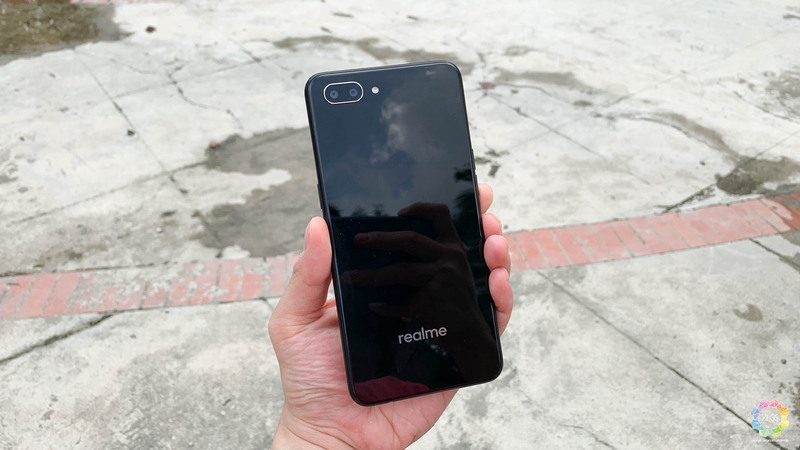 I have been using the entry-level Realme C1 for about a week now and I am happy to report that this is by far one of the best entry-level device that I have reviewed, I’m not just talking about its affordable price tag of RM449, but also what it offers out of the box – a large 6.2″ HD+ display, Snapdragon 450 processor and large 4230mAh battery, a combo that you hardly find on phones of the same class. Most people that have seen me holding the phone have easily mistaken this as a RM2000 device because of how sleek it is, sure enough you don’t get an symmetrical or unibody like the flagships, but it feels good when you hold it on hand and doesn’t feel like some cheap plastic smartphone. 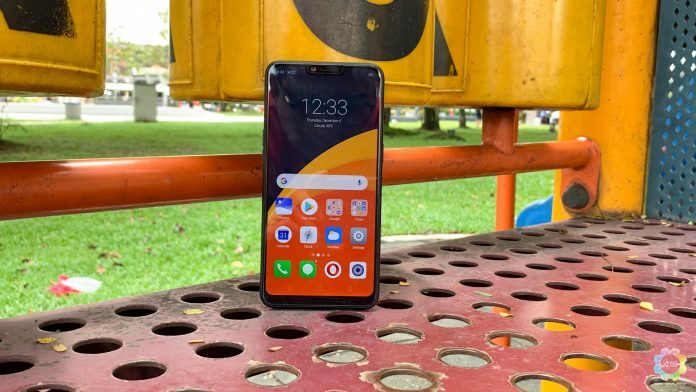 In other great hardware features, the Realme C1 is the only phone in its class to offer a triple slot SIM tray, which you can insert two nano SIM cards and expand storage, a feature that is only available on phones that retails at twice its price tag. The dual SIM slots also support dual 4G standby and VoLTE, which you will never get it on entry-level devices. 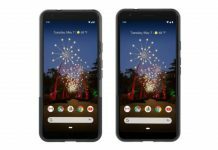 While I would dearly prefer a physical fingerprint reader over the phone’s Face Unlock feature, it fortunately works well in my case and even in low light, the phone maxes out the screen brightness to allow the camera to recognize my face properly. 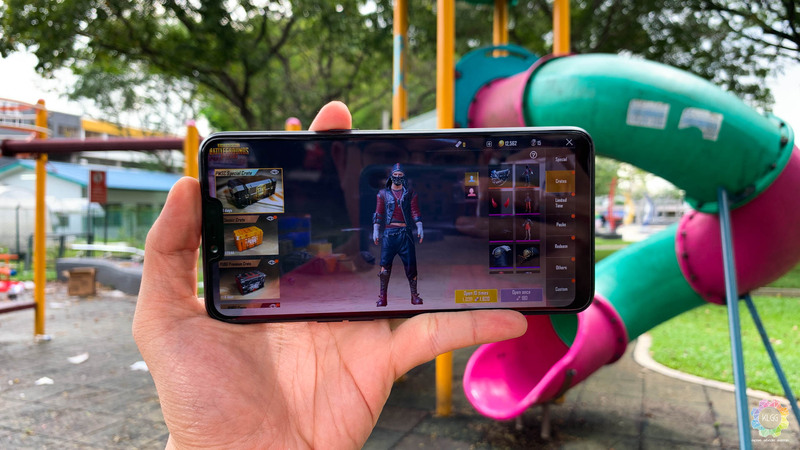 Most sub RM500 phones usually come with garbage displays with bad viewing angles and colors, the Realme C1’s display fortunately looks good for its class and is on par with phones twice its price tag, brightness is acceptable under harsh sunlight and you won’t be able to notice pixels unless you view it up close, its a pretty good huge display for watching YouTube and Netflix, even touch response is decent when typing. 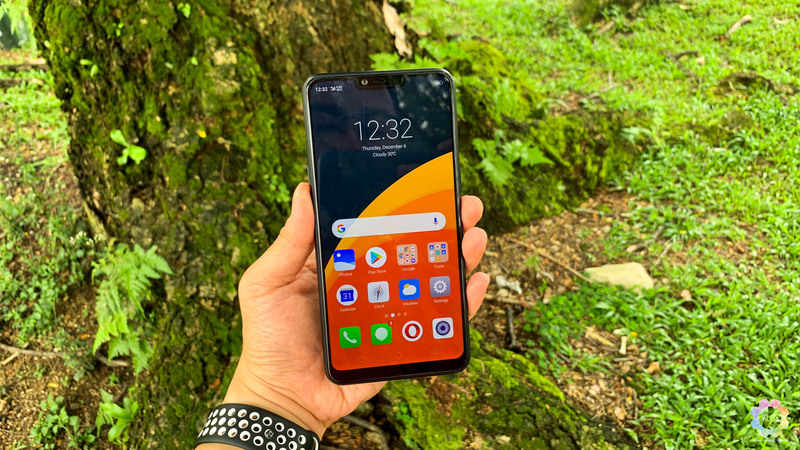 Like other spin off smartphone brands, the Realme C1 uses OPPO’s ColorOS 5.1 skin based on Android 8.1, which we have seen great improvements over the past year when it comes to frequent security patches and performance improvement updates. However, I’m not a fan of its grid-style home screen as it gets messy after some time and isn’t flexible in widgets management, hence I have been using a third party launcher during the review period. 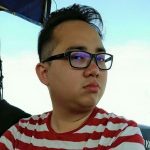 Unlike the higher end Realme 2 Pro, the Realme C1’s ColorOS software misses out the clone apps feature which you won’t be able to have two messenger accounts such as WhatsApp on the device, however you will still be able to achieve that by downloading Parallel Space from Google Play, but I just wished Realme have ensured a more consistent software experience, since the feature generally isn’t going to tax the phone’s hardware resources. The Realme C1 still managed to do a pretty decent job in the performance department, despite only having 2GB RAM and basically needing to reload apps after switching to a few, the Snapdragon 450 chipset is rather capable for its class and it excels in app launch speeds, it isn’t the most snappy user experience but you at least don’t get sudden freezes while you are active in an app. 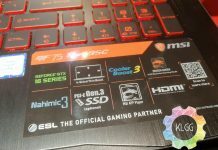 In terms of gaming, I don’t really recommend this for playing games like PUBG Mobile and Asphalt 9 due to the phone’s graphics processor performance, and due to the limited amount of RAM you will get frame drops inside the game as it constantly tries to free up memory, but if you are using it for casual running games like Subway Surfers, it will do a fine job. As the dual-camera trend becomes a norm, the Realme C1 doesn’t miss out on that and offers a 13MP f/2.2 main sensor and a 2MP f/2.4 depth sensor, it is by all means a default entry-level camera offering and makes sense for its class, so don’t expect it to perform well in low light, but that’s not to say that it can’t be a good casual travelling camera, as photos taken in proper lighting have decent color saturation and contrast. On a single charge, the Realme C1 has no problems lasting till the next day even with heavy usage on social media browsing and video streaming, this is something that you won’t find on entry-level smartphones even if they have crazily huge batteries, as the endurance is usually affected by their processors and software optimizations. One thing you will have to bear in mind though, is that the phone will take some time to fully charge over a 5V2A adapter, which at some point when you are so accustomed to its battery life, you might actually forget to charge the device and it takes close to 2 hours to fully juice it up. 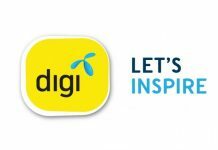 When it comes to cellular connectivity and performance, the Realme C1 doesn’t disappoint as it delivers reliable 4G connectivity throughout my usage on both Digi and U Mobile’s network, GPS navigation is also reliable when I’m driving on roads with buildings surrounding me, great for those who are on the ride-sharing business. There may be a lot of other entry-level phones that could match the build quality and some features of the Realme C1, but this is hands down the best all rounder entry-level smartphone I have ever reviewed and it is so rightfully priced at RM449, you will love its crazy long battery life, the great display quality and a reliable software experience that usually isn’t available on entry-level smartphones. 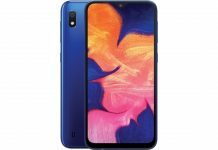 The Realme C1 is available exclusive online at Realme’s Flagship Store at Lazada, and on the midnight of December 10th, customers will be able to purchase the device at a flash sale price of RM399, which makes this an even no-brainer purchase if you are on a tight budget for a new smartphone. Besides that, you can also get the Realme C1 at 500 authorised dealers at its original price if you missed the flash sale. The Realme C1 brings mid-range features to an entry-level device with a killer price.